Third Coast Interactive is a digital branding agency focused on ecommerce and business-to-business solutions that assist its clients in establishing a consistent digital brand. The firm is located just south of Nashville in Franklin, Tennessee and supports a global customer base. The firm's app and software development includes The Review Solution. 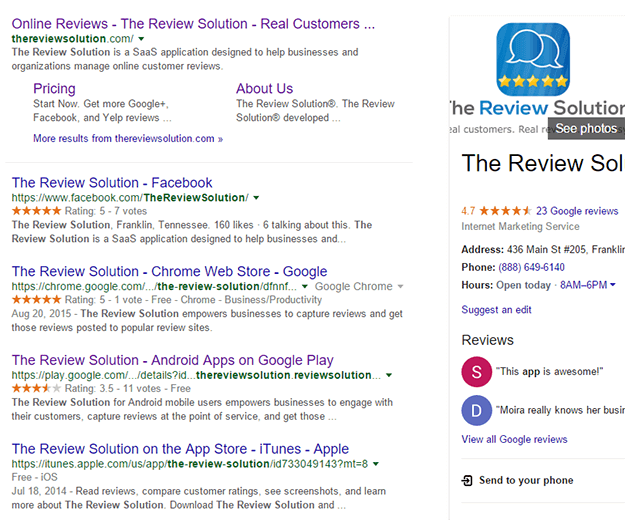 The Review Solution offers email, text-based and a SaaS-based platform that addresses the core needs relating to online business reviews. b) second, determining to which review site each review will be posted. With more than a dozen primary online sites, as well as medical, dental, contractor, automobile, hospitality and specialty review sites available to the consumer, there is no practical way for a business to accumulate the online reviews needed in a methodical way. Even satisfied customers will seldom take time to post multiple original reviews. The Review Solution addresses all of these issues through an easy-to-use monthly service that allows the business owner to focus on growing the business rather than battling online reviews. 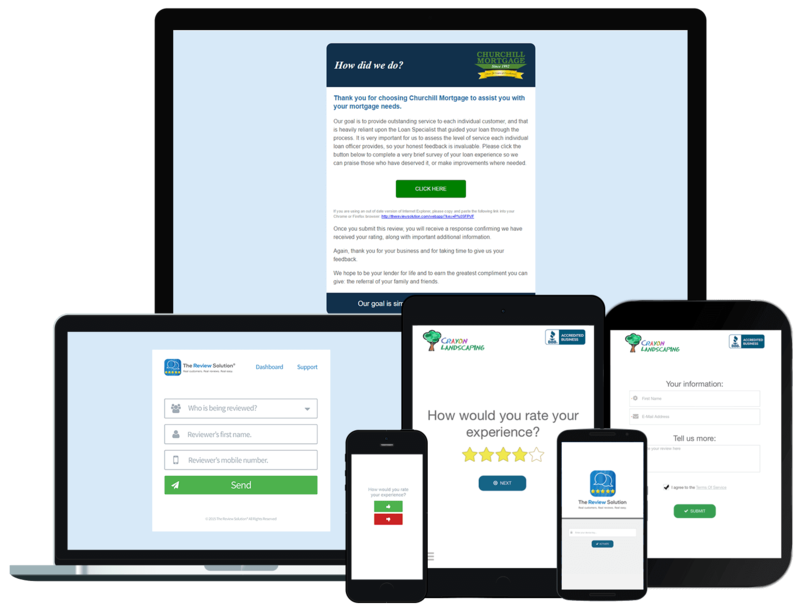 The Review Solution provides businesses with a tool that will collect a customer review in thirty seconds and then manage it all the way through the posting process. 100% of the reviews are posted by real customers who have had first-hand experience with the business. No fake reviews, no competitors, and no former employees. Just real reviews, from real customers, made real easy.